Thats right…we went all Divi! Some of us at Coffee web design have been in the web business for 15 years or more, doing web design. 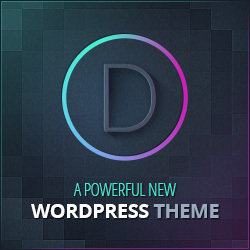 Our favorite theme to use and convert sites to is the Divi theme by Elegant Themes and we will get to why in a minute. Our designer was ranging from design in Frontpage (oh this is ancient) to other page builders software over the years. While WordPress was making it own in the world of web sites, it had come a long way in development that we had to give it a try about 8 years ago. So our designer started out on a mission to learn what WordPress was all about. Excited in learning a new program to help more small business owners, she could see the possibilities could be almost endless when it came to WordPress sites and keeping the cost low for clients. Also her background in years of web development as a project manager, she could see the lower cost instead of building sites from scratch which were usually out of price range for start up businesses, personal or small businesses. When it came to design though, she loved doing her own custom design for clients. She liked giving them their own identity, just as a brand, in web design. WordPress has many many contributers that make out of the box designs. Your site though may look like Mo’s down the road though. She st out doing custom design themes for WordPress clients. Once the android and iphone came out and things started going mobile, our designer then had to go back and revamp themes for WordPress to also have mobile versions. What does that mean? This means that every site had to adjust to whatever mobile version you had and the position you were carrying your device to look at the site. This means a desktop version, tablet vertical, tablet horizontal, phone veritcal and horizontal. This now because of all of the revamps and versions that had to be “responsive” for devices, this started to drive up the cost again for clients. Divi is out of the box shell for designers and meets all of the requirements for responsive themes. Now we can lower the cost for our clients again and still give them a knock out design using Divi! We couldn’t be happier with the results and have gotten rave reviews for the designs we create for our Coffee Web Design clients. We have been even collaborated with other web companies and work with them on design using Divi while they manage their content. Ease of use for clients! As most WordPress clients, most people want to save costs and manage their WordPress site themselves. Not a problem and using Divi with a unique drag n drop system with built in modules, has even been fun forsome of our clients who add new content, update galleries and create new content all the time. Divi has many built in features that eliminate need for extra plugins (which we lways say, less is more when it comes to plugins). Support is great with Elegant Themes and they are fantastic about keeping Divi up to date and in compliance with what is required with search engines. Updates? they are always keeping us sitting at the edge of our seat, awaiting the next version of surprises available in Divi. Most of our client now are converted to using the Divi theme and we will continue to build, design, and train people how to use Divi. If you are using Woocommerce…great!! Divi is user friendly and options available for those who use Woocommerce for their online shop. If you are looking for a new look for your web site and keeping costs down, just contact us for a free quote in converting over your existing theme to a powerful Divimachine of a deal!